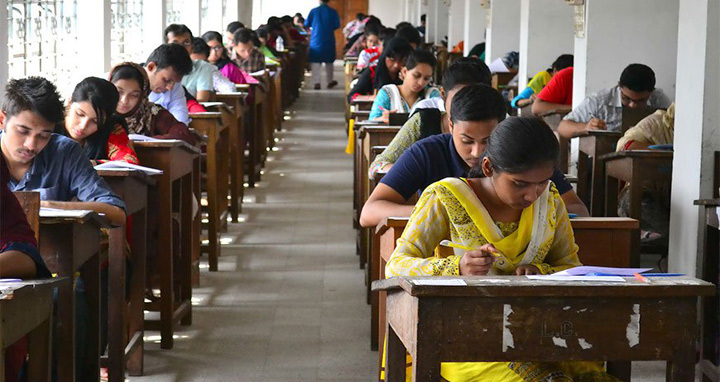 Dhaka, 20 Oct, Abnews: At least fourteen people were held for allegedly cheating in the entrance test of D unit for session 2017-18 in University of Dhaka on Friday. The university’s proctor KM Amzad confirmed the matter. A total of 98,054 applicants will contest against 1,610 seats of three groups Science (1147), Business (410) and Humanities (53). The tests were held from 10:00am to 11:00am at 86 centres inside and outside the campus.